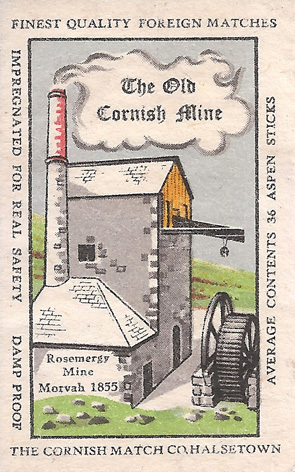 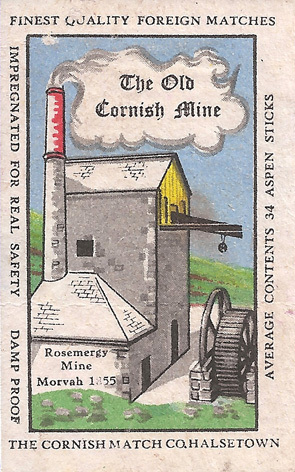 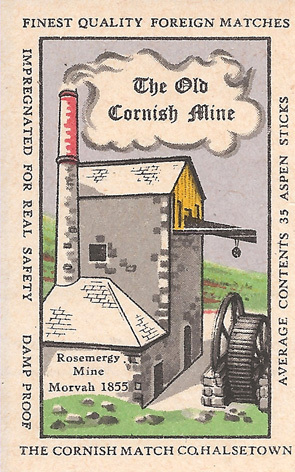 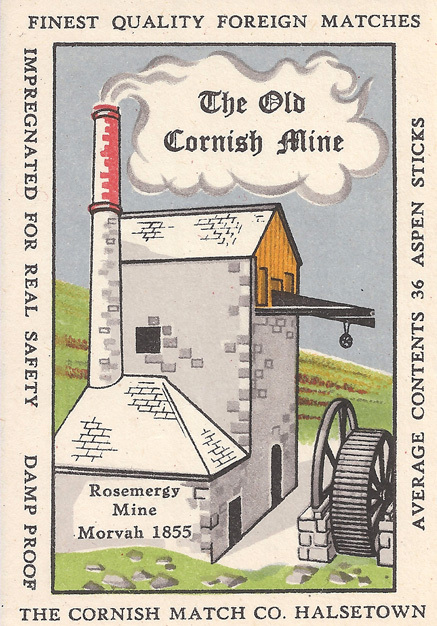 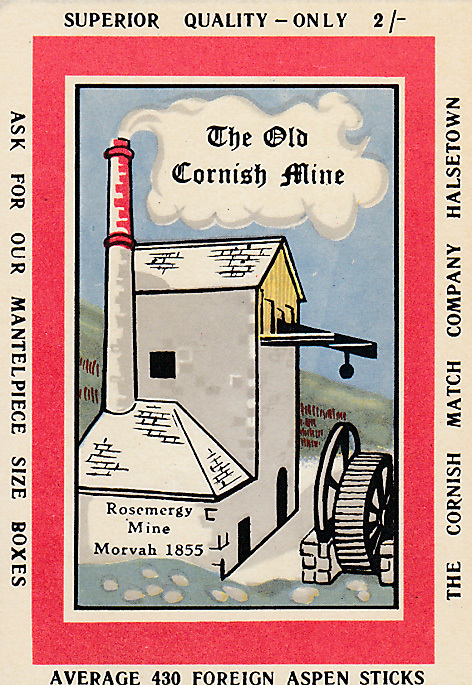 Rosemergy is a very old mine at Morvah, probably working before 1788. 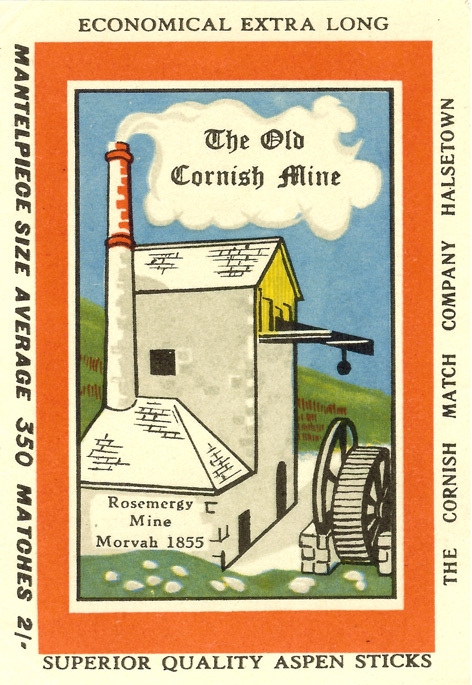 It was reopened several times as part of the Morvah and Zennor Mines but was finally abandoned after the short-lived boom in tin prices in 1874. 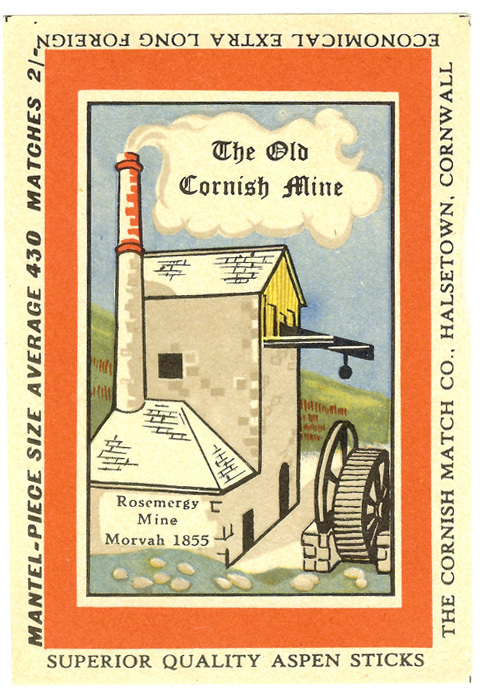 It is also known as “Carn Galva” or “Wheal Rose”. 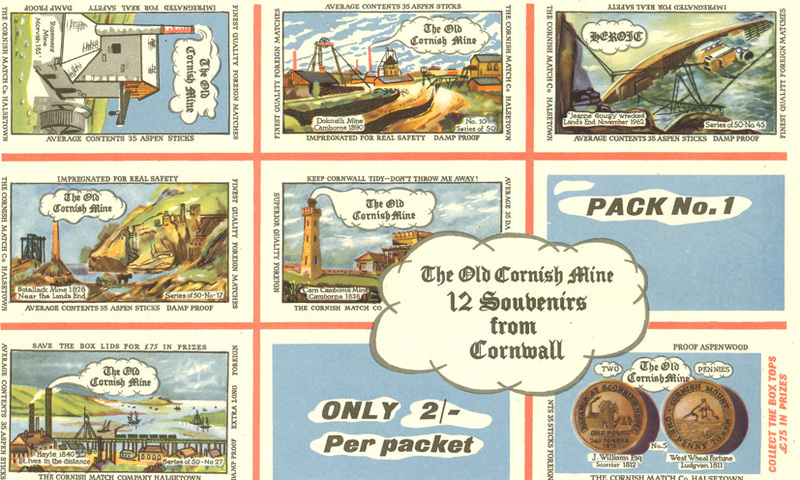 The illustration appeared on 9 individual and 6 souvenir labels. 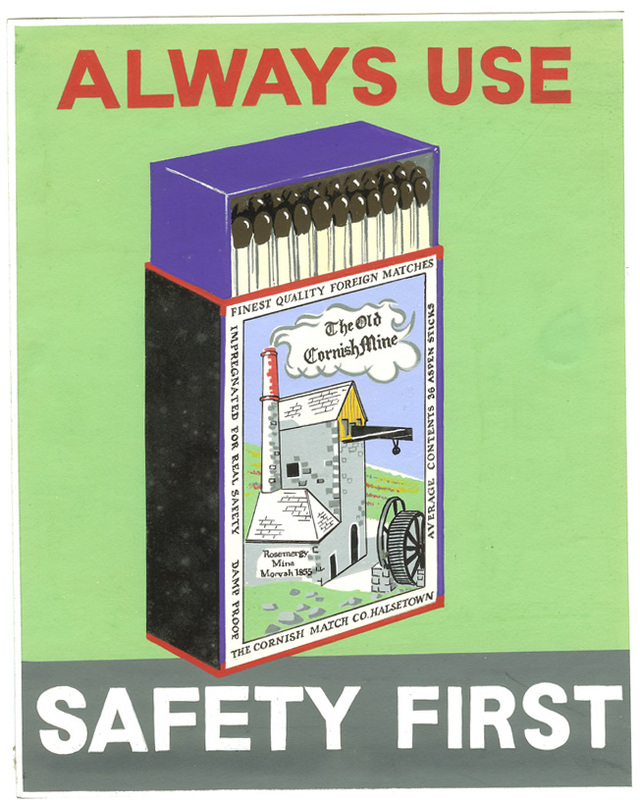 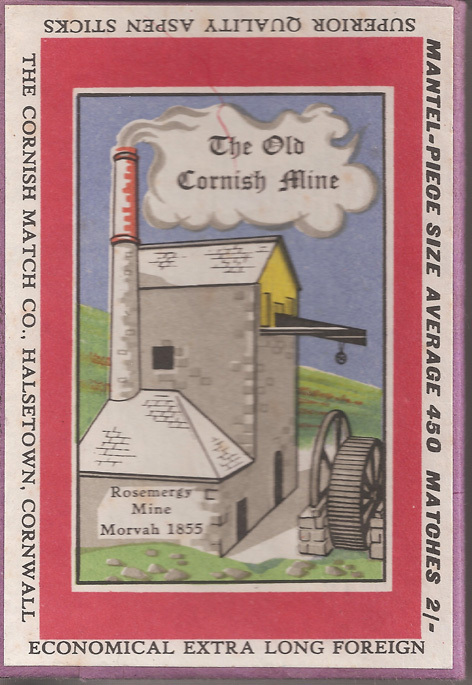 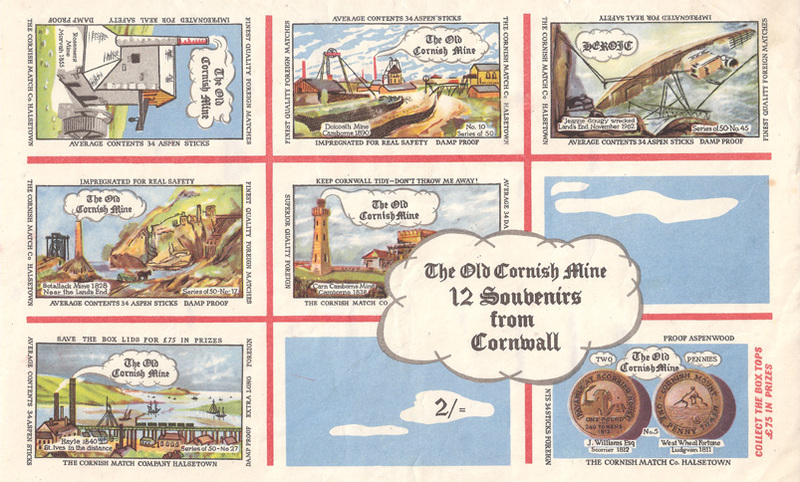 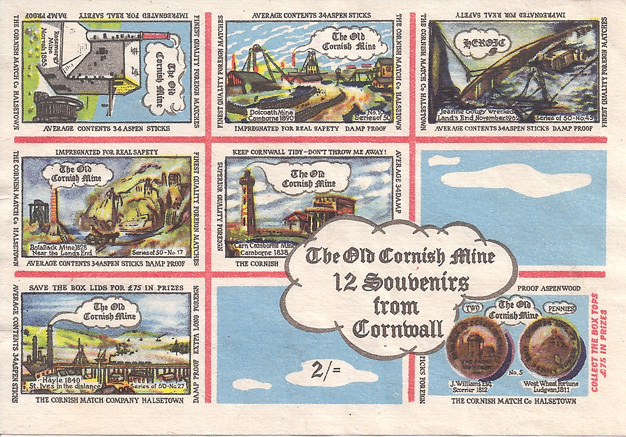 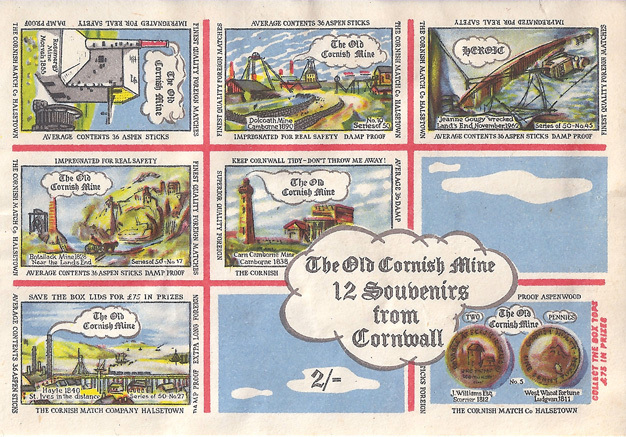 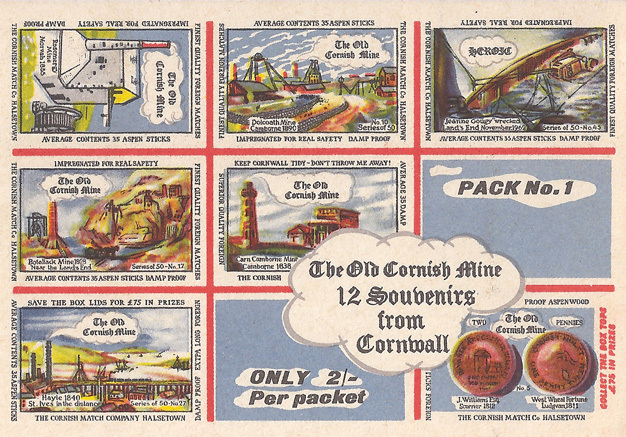 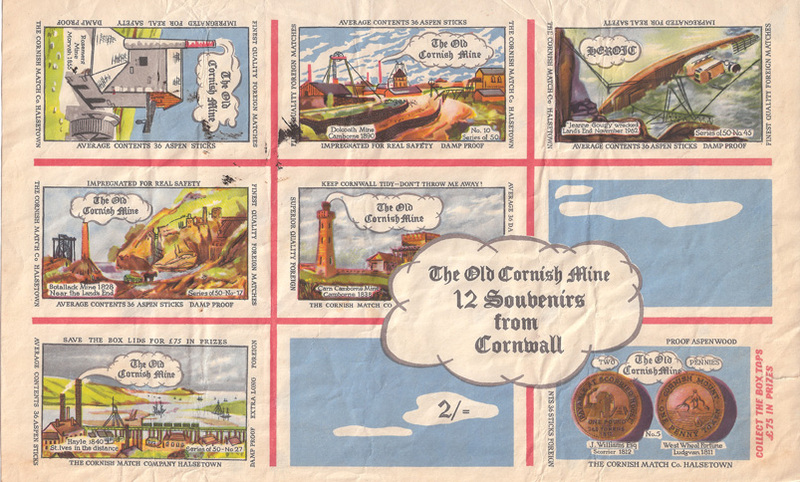 The 34-contents label went on sale on 20th September 1962, within two months of the Cornish Match Company being registered. 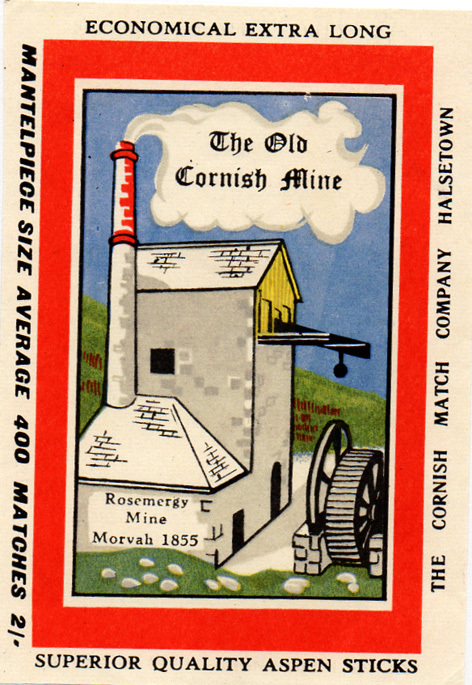 It was designed by St. Ives artist Eric Mason.